The location of Sicily, surrounded by three seas, explains the importance of fish and other seafood to the island’s unique crossroads cuisine, fed over the centuries by trading, invasions and occupations. Seafood alla Siciliana: Recipes & Stories From A Living Tradition explores a rich tradition that reaches back to the Phoenicians and Greeks, and shares recipes gathered in the kitchens of cooks who continue to make traditional dishes ranging from Palermo’s pasta con le sarde to a Siracusa-style baccala stew, while dipping into the “new Sicilian cooking” forged by talented contemporary chefs. Authentic yet creative, accessible yet inspiring, Toni Lydecker brings the fresh clean flavors of Sicily and its idyllic Mediterranean backdrop from sea to table. Lydecker takes readers along with her on a Sicilian odyssey in which she explores the island’s fish markets, watches fishermen mend nets, and visits winemakers, olive oil producers, and fish processors. 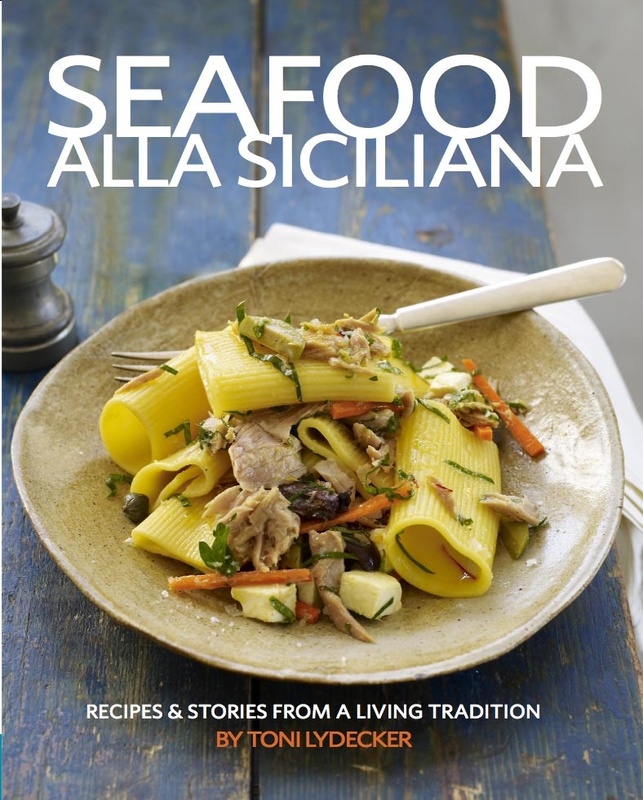 Seafood alla Siciliana, the first cookbook to explore in depth the rich culinary dimensions of Sicilian seafood, features recipes that burst with authentic flavor and bring to life the island’s eclectic cooking styles—a brilliant mix of Greek, Arab, French, and Spanish influences. Nothing could be simpler or more delicious than a Sicilian-style baked or grilled fish, served with a simple salmoriglio sauce of olive oil, lemon juice, sea salt, and oregano, and this cookbook will show how to put it on the table.